Posted on December 1, 2014 by eliefares Tagged ChristianityExtremismIslamLebanonMosqueRed CrossReligion	CommentsNo Comments on Extremism in Lebanon: Why Are You Shocked The Red Cross Was Banned From A Mosque? 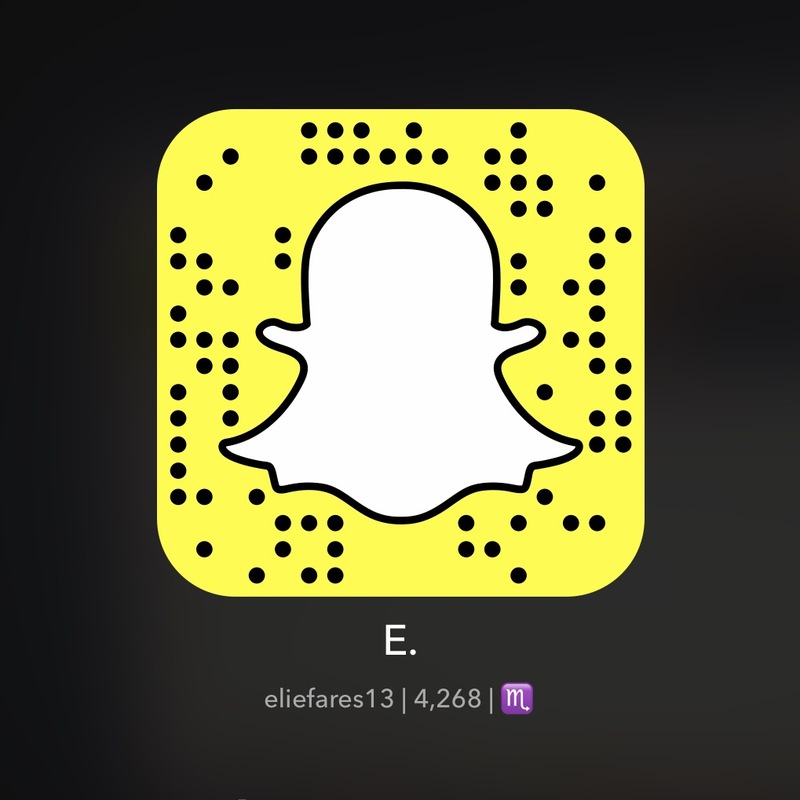 Extremism in Lebanon: Why Are You Shocked The Red Cross Was Banned From A Mosque? Breaking news out of Lebanon today, because those are very few and scarce, but a Red Cross volunteer had his colleagues banned from entering the mosque where his family was receiving condolences for the passing of his grandmother, just because they were wearing their logo, which happens to be – well – a Cross, albeit having nothing to do with religion. First with the story was the Facebook page “Stop Cultural Terrorism in Lebanon,” and at thousands of Facebook shares and likes, as well as having the story picked up by various news outlets now, it has definitely gone around, as well as have people in shock and anger. I’m here to ask the very simple question: why? To those who are shocked, I wonder if you’ve been so disconnected from life in this country lately that you haven’t noticed the fervent rise of extremism all around you. This isn’t exclusive to a single sect or religion. Of course, some get blamed more than others because it’s more popular to do so, but it is a tangible reality everywhere and in the hearts of many people around you, including people you know. The time to be shocked, disappointed, mortified, appalled or whatever you are feeling right now is long behind us. What you can and should do now is hope this is an incident that won’t set precedence, which I think is the case. This was probably the case of a few goons with near subzero IQs and near illiterate education levels deciding to flex their Allah-given muscles, as has become quite customary around this country. Those people won’t care about explanations that the Cross on the Red Cross’ vest is not actually Christian. They won’t care that women wearing the Hijab can enter Churches whenever they want, albeit to increasing groans, and that people wearing Crosses can enter Mosques whenever they want. No, those are the people whose existence we have loved to dismiss for so long now, toning it down until we made them irrelevant in our minds. The truth of the matter is that as everything in this country, this too will pass. You will forget about in a couple of days as something more media-grabbing happens. You may be reminded of it by some politician down the road who wants to cash in some political coins, of course. What I hope this transpires into is more support for the Red Cross, this truly noble organization in the country that has transcended sects and political lines and religions to help people just for the sake of humanity. You want to be mad at those who didn’t let those Red Cross volunteers in at a wake? Go donate. 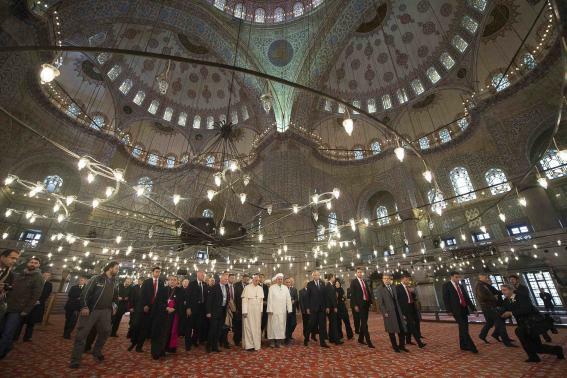 Ironically, at a time when some Lebanese retards were upset the Red Cross could have entered a Mosque, the Pope was praying at the Blue Mosque in Turkey. Contrast Lebanon with the following picture. As they say, a picture is worth a 1000 words. I’ve probably written something close to that by now, so you get the picture. 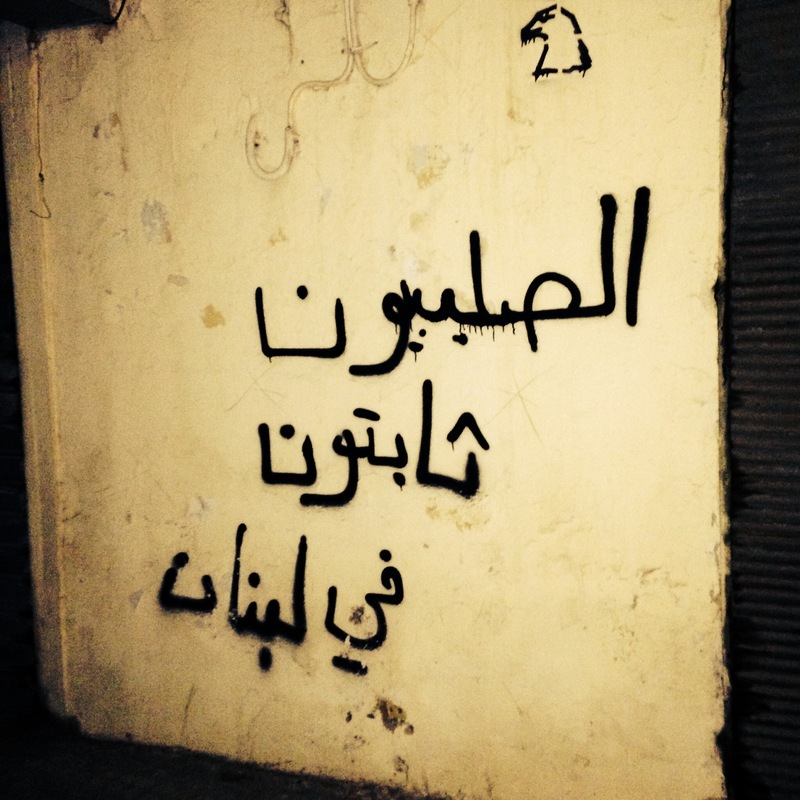 Lebanon isn’t a place where much changes in a year. Seriously, if you look at where we were last year around this time and where we are today, you’ll see a lot of similarities. The only exception, perhaps, to our Lebanese reality is real estate, especially when it comes to all the contracting taking place in Downtown Beirut. 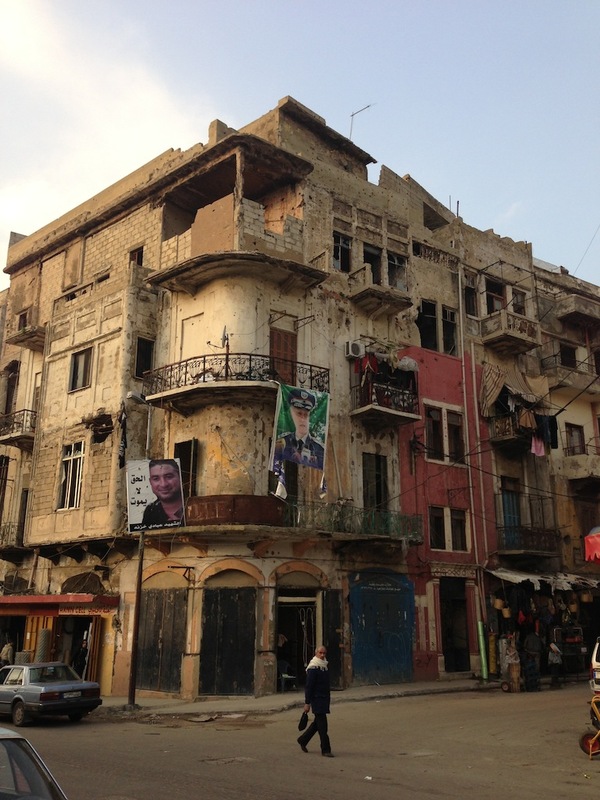 The developer who wants to use the land is Marwan Kheireddine. Sounds familiar? He is a minister in Lebanon’s current government. Way to go for transparency. The project that will see the destruction of the hippodrome is a gated community where only “elite” Lebanese will enter. In other words: you and I are off limits. Unless you can afford paying millions for a Downtown Beirut apartment. According to Kheireddine, the site is not worth preserving. How does he know this? He hired an archeologist who said so. Yes, because such matters are most transparently handled by the people you buy into your service. Kheireddine is offering 4000 squared meters of the land to turn into a museum of sorts that people could access. Because a Roman Hippodrome was meant to be contained within the parking lot of a building, right? Plots around the site in question are said to contain other parts of the stadium and need to be properly excavated as well. There is an immense shortage of archeologists in the country. The job of those archeologists is to make sure such transgressions never happen. But the government doesn’t seem to care about such an issue. Beirut is not the only place where Lebanese archeological heritage is being destroyed left and right carelessly. 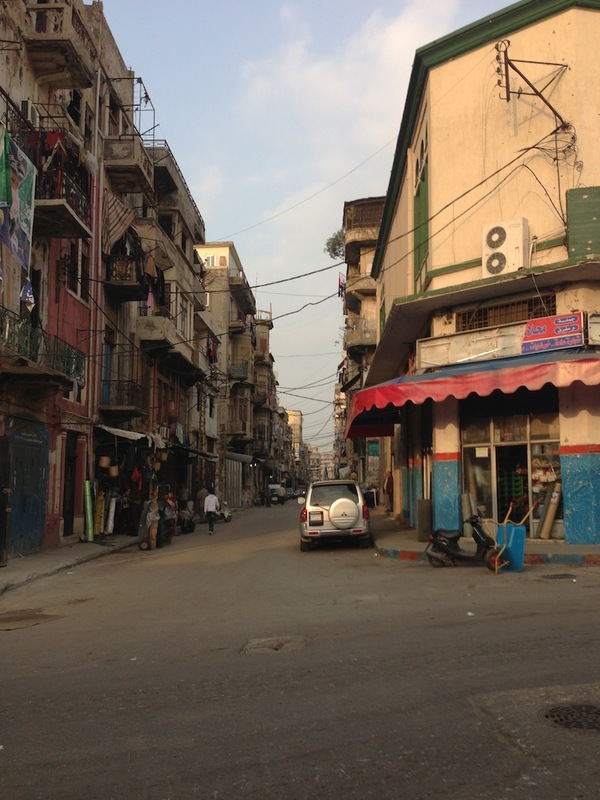 In fact, what’s happening outside of Beirut in lesser known areas might be worse. Concerned activists are trying their best to halt the development. But there will come a time when they won’t be able to do much anymore. I remember back in 2005-2006 when a local cafe in Batroun was being built. The initial digging site revealed a Phoenician burial site, sarcophagi and all. People flocked to see what the site was all about. The following day, nothing survived to tell the tale. Today, instead of that entire burial site lies a cafe known for its shisha and its July 2012 drug scandal. 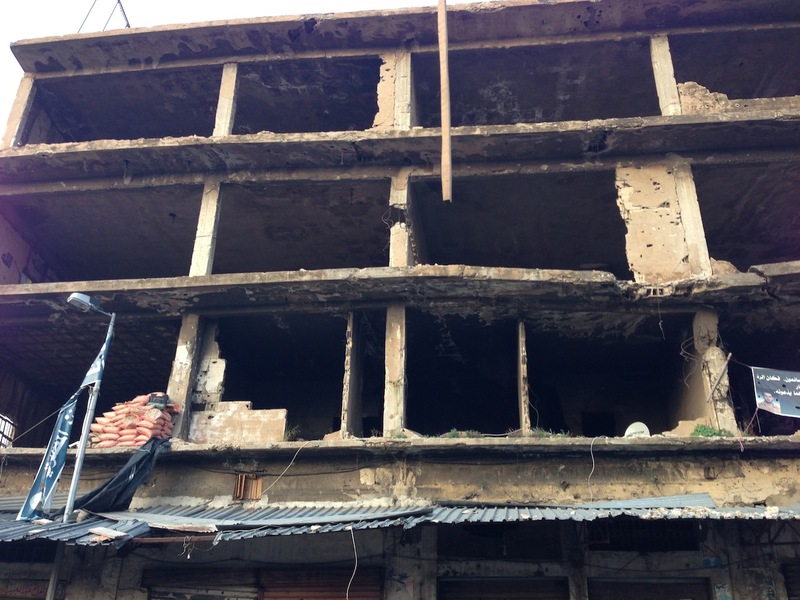 Earlier in 2013, hell broke loose twice over ancient ruins in Beirut. The first time was because some henchmen at District S assaulted the same person who wrote the aforementioned BBC article over him taking pictures of the ruins they were busy dismantling to open up Beirut into the new Dubai-esque age (link). The second time was due to Lebanon’s possibly oldest Church getting discovered at another site where a Jean Nouvel hotel was to be built (link). The discrepancy between the fate of sites one and two is striking. The former is still operation. The latter has been halted. Churches can do miracles? Believe, people. Arguments about how priceless a monument is, how irreplaceable it is, how silly it is to replace it with a building, how rare it is to find such a thing in Lebanon, how economically profitable it would be to keep it and turn it into an attraction are all useless simply because most people don’t connect to them on a primal level, enough to get them rallied up. The only way, apparently, to get to a result, force government to get involved and save such sites in Lebanon is to infuse a dose of religion in the stones. The more religious those stones, the more people get rallied up, the less our government can stand quiet as bulldozers raze through the field. Unfortunately for the hippodrome, there doesn’t seem to be an ancient church in its ruins as of now. Let’s hope that changes soon. 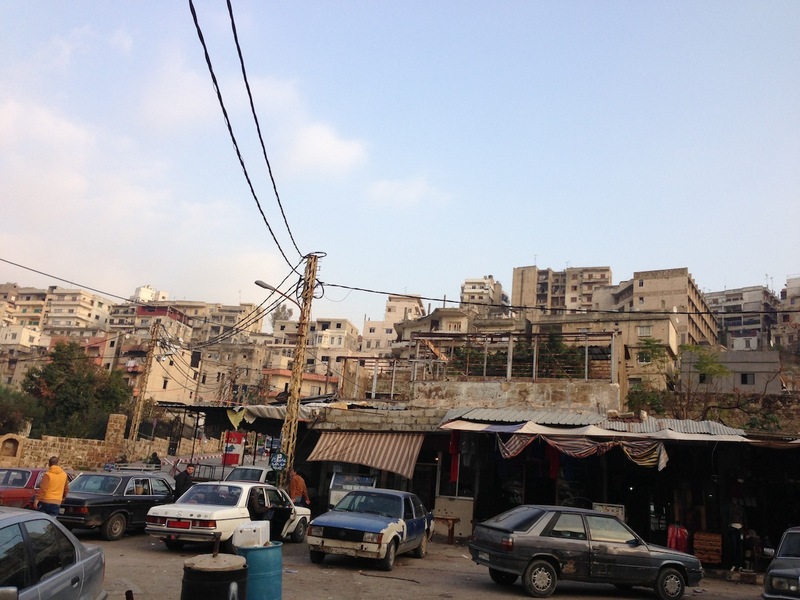 The tensions in the Jbeil town of Lassa continue to surface. After an episode involving Hezbollah communication and whatnot, it has transpired that the town’s mayor, Issam Al Meqdad, started taking 5000 sqm of land owned by the Maronite Church to give them to the nearby Mosque, considering the land as belonging to the Shia “Waqf” of the town. When the Patriarchal envoy to the region, Chamoun Aoun, found out, he contacted the Maronite Church in Jounieh and notified policemen who rushed to the town but couldn’t do anything. MP Michel Aoun was notified of what was happening. He found the affair very peculiar and notified Jbeil’s MP Simon Abi Ramia to pursue the matter further. 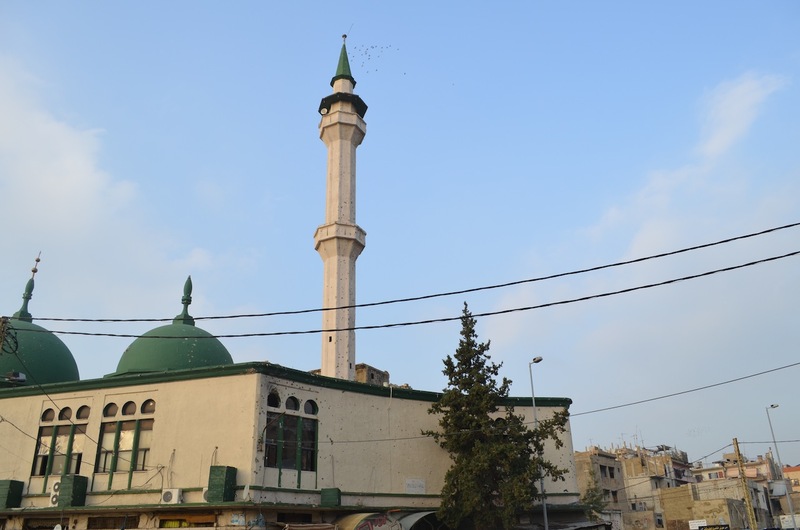 Meanwhile, the mayor of Lassa, with whom the policemen couldn’t do anything, still firmly believes that the land is not for the Maronite Church – even though they legally own it – but for the Mosque. Now one cannot but wonder, what more do some entities in Lebanon need to do to prove ownership of a land? Is it not enough that they have the deed? Is it not enough that they paid for it? Is it not enough that it has been there and for years and years? 5000 sqm may sound like not much for many people but this is not the first time this happens and by the looks of it, it won’t be the last. This land was not bought or sold. In order for the Maronite Church to sell land, it needs authorization from the Vatican who most probably wouldn’t approve such a transaction. This land is being simply stolen – there’s no other word for it. And the sadder part is we can’t do anything about this but watch. At least that’s what we did when land was being taken in the same way in other locations in Lebanon.